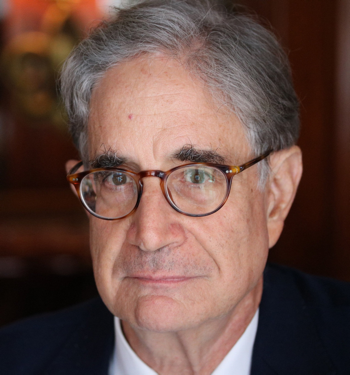 Paul Freedman is the Chester D. Tripp Professor of History and Chair of the History Department at Yale University. He specializes in medieval social history, the history of Spain, and comparative studies of the peasantry. Paul Freedman taught for eighteen years at Vanderbilt University before joining the Yale faculty in 1997. At Vanderbilt, he was awarded the Nordhaus Teaching Prize in 1989 and was the Robert Penn Warren Humanities Center Fellow there in 1991-1992. During that time he published his second book, Origins of Peasant Servitude in Medieval Catalonia. He won the American Historical Association’s Premio del Rey Prize (a biennial book award in early Spanish history) in 1992 and shared the Medieval Academy of America’s Van Courtlandt Elliott Prize in 1981. The recipient of a Guggenheim Fellowship in 1994, Paul has also been awarded a Griswold Fellowship and a Senior Faculty Fellowship from Yale and fellowships from the National Endowment for the Humanities and the American Council of Learned Societies. In 2002-2003 he was a fellow of the New York Public Library’s Center for Scholars and Writers. A fellow of the Medieval Academy of America, he is also a corresponding fellow of the Institut d’Estudis Catalans in Barcelona. His book, Out of the East, about the lure of spices in medieval Europe, was published by Yale University Press.